Prior to the Bram Stoker Awards ® this year, volunteers within the Horror Writers Association began a series of interviews called “Know a Nominee,” in which final ballot nominees of the various award categories were asked a series of questions to provide readers insights and information about the nominees and their work. Some of these interviews were posted on the official Horror Writers Association’s Facebook page (I’m not sure if any made it onto the HWA website or newsletter, as they have in the past) and for a while it was going well. This is typically a great series of interviews. Unfortunately, because this is a volunteer-run organization, life sometimes gets in the way for volunteers, and well-loved projects, like this one, get pushed to the back burner, forgotten like a pot of previously-boiled hot dogs found floating in cold water the next morning. My own interview was for The Library of the Dead, which was nominated (and eventually won) for Superior Achievement in an Anthology. As it turns out, a handful of interviews took place this year (some posted, most not), and sometime between pre- and post-Stoker season this interview project sort of disappeared into the ether. A handful of interviewees (like me) were left scratching our heads, wondering if the interviews were ever going to be published as the first StokerCon drew near. And then that date flew by, and a few others, and then a dozen more. What happened to the interviews? Upon asking about this very question within the organization, this prompted more confusion among members: “I was never interviewed…” and “What happened with the Know a Nominee interviews?” and “Interviews?” and my own question of “Since the Know a Nominee interviews sort of fizzled out, can we post our interviews elsewhere so they don’t go wasted?” (or something like that). Apparently, not all nominees this year were interviewed, which is too bad… This is a fun part of the award season, where you really “get to know” the nominees in the various categories (hence the name). For me, this interview series is an opportunity to get to know those outside the con scene (which is where we really get to know each other). Know a Nominee was left abandoned mid-stride this year because of understandable, unforeseen happenstances in the lives of organization volunteers (it happens), yet here we are now, well past StokerCon and the Bram Stoker Awards ®, and there are interviews waiting to be exposed. There are shriveled hot dogs floating in cold water at the back of the stove, and they either need to be reheated and finally served, stored for later consumption, or thrown out. After reaching out to the Horror Writers Association, those interviewed (and still stuck in interview limbo) were told we could use these Know a Nominee interviews elsewhere on the interwebs, if we so pleased. Three options: throw it out, store for later, or reheat and serve now. Interviews take time away from other projects we could be working on, so why let them go to waste? Why not put them out there? Who cares if it’s still hot or not, luke-warm, cold… Okay, yeah, interviews are best served hot, but so what. Most of the forgotten interviews run between 1,000 and 2,000 words (I have only asked four others, so you will have to deal with that estimate); mine runs about 1,600. So, without further ado, here is my reheated, barely palpable Know a Nominee interview, which was conducted by Brock Cooper, a member of the Horror Writers Association. Please describe the genesis for the idea that eventually became the work for which you’ve been nominated. What attracted you most to the project? The Library of the Dead was conceived by the collaborative minds of a gruesome twosome: Gene O’Neill and Gord Rollo. They happened upon Chapel of the Chimes, a crematory and columbarium in Oakland, next to the beautiful Mountain View Cemetery. It’s a massive labyrinthine building, and within its walls are the ashes of over a hundred thousand of California’s dead, most of which are contained within incendiary urns on shelves reaching from floor to ceiling, three stories high. But these are not ordinary urns. Most are brass, or golden, and they are shaped like books, and because of the building’s unique interior design, most of the rooms (and their libraries) are lit naturally by the sun through stained glass, some entire rooms glowing gold. It’s a wonderful place, and I highly recommend putting it on your list to see if you’re in the California Bay Area. There are gardens inside, and fountains, and other treasures, but the books make this place unique. What if each “book” not only held the ashes of the dead, but their stories as well? What happens when opened? What if there’s a ghostly librarian who wanders the halls at night, a caretaker of sorts? That’s the premise of the anthology Gene and Gord wanted to make. Somehow it landed in my lap. And somehow I was convinced to write “The Librarian,” the intertwining story linking the tales together. And now I’m proud to see a book about this library of the dead nominated for the Bram Stoker Award ® for anthologies, along with the story/introduction by Norman Partridge called “Special Collections,” which is up for long fiction. What was the most challenging part of bringing the concept to fruition? The most rewarding aspect of the process? Each story in the anthology is something unique, written by different writers with entirely different voices, and some collaborative, such as Mary SanGiovanni and Brian Keene’s “The Last Thing’s to Go,” or “Fault Lines” by Christopher Golden and Tim Lebbon. Different ashes. Different stories. Each golden book within the library had to contain a different story that needed opening, with characters ultimately finding their way back to the library, and that was the only common ground when I first started this book. Bringing the stories together into something cohesive required stylistic illustrations (which were created to perfection by the wonderful GAK) to help fuel the reader’s imagination, and photography of the real library of the dead in California, as well as “The Librarian” piece to help tie the stories together, which is its own story within the anthology. As you move through the book, this second-person narrative guides you along, your own personal librarian pulling golden books from shelves and opening them for you as you are guided from room to room, exploring the ‘tales the ashes tell’ (which happens to be the final story by Gary A. Braunbeck), until you realize you’re not only lost within the labyrinth of golden books, but becoming part of the library itself. The anthology contains black and white photography I took of Chapel of the Chimes, and 17 original illustrations by GAK (all inspired by the photography; if you look closely, you’ll see some of it captured within the art). All of these things had to be fused together seamlessly to make The Library of the Dead, which turned out to be quite a beautiful golden book. The most rewarding aspect of this process? Well, the book can be read like a novel, with each unique story serving as a different chapter of something larger. Something difficult that happened along the way was the loss of J.F. Gonzalez, to whom the book is dedicated. One of his final stories is in this book, called “It’s Getting Closer,” and GAK created a special illustration for him at the end of the book. What do you think good horror/dark literature should achieve? How do you feel the work for which you’ve been nominated fits into or helps give shape to that ideal? All good literature, dark or not, should move the reader emotionally. Good literature should fling one’s emotional state around until left exhausted. Without emotion, we are nothing. Horror, when done well, evokes fear, dread, uneasiness, terror, anxiety, all sorts of things … And when done well, the reader shouldn’t even notice it’s happening to them until it’s too late, until they set the book down, perhaps swearing a single word under their breath. All they know is that the pages kept flipping by as they got battered and got lost in the story (or stories), which is the whole point of a book. Good literature should spark memories: loss, pain, hope, failure, redemption, sacrifice, and I could go on for pages and pages about everything a book should do to its reader, but I won’t. What I think makes The Library of the Dead work so well is that it makes the reader part the book itself, pulls them along from tale to tale, and I think that’s why so many people have reacted positively. Some readers skip around anthologies, looking for familiar names or whatnot, reading those stories first before reading others, and some jump from story to story in no particular order. If you do that with The Library of the Dead, you are missing out. The book is designed to be read from cover to cover, first page to last page. The book is a journey, and the reader is part of the journey. They should be pulled inside this golden book and trapped inside with its ashes. I’m curious about your writing and/or editing process. Is there a certain setting or set of circumstances that help to move things along? If you find yourself getting stuck, where and why? Both my writing and editing processes are chaotic and should not be studied. My work is sporadically prolific, and periodically dormant. It’s probably unhealthy. If I find myself stuck, it means I’m not doing something right and should either do something else, or start over. Sometimes listening to music helps motivate the creative process. As you probably know, many of our readers are writers and/or editors. What is the most valuable piece of advice you can share? Create the most beautiful thing you can possibly create. It’s as simple as that. When you die, what do you want to leave in your wake? What do you want to be remembered for creating, a half-assed story everyone’s read before, a half-assed book no one remembers, or something completely original, something that cannot be easily forgotten? If you’re attending WHC this year, what are you most looking forward to at this year’s event? 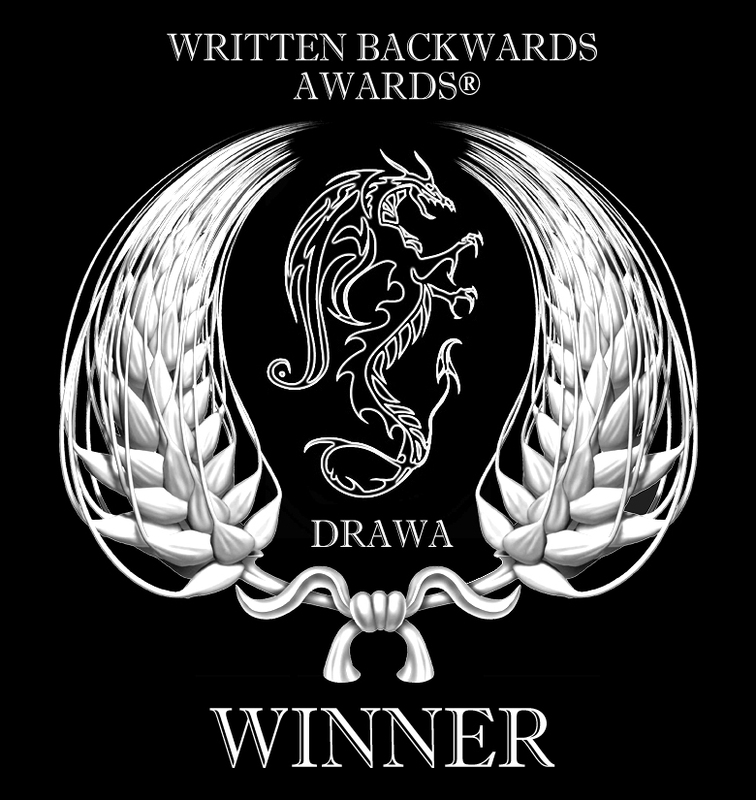 If not attending, what do you think is the significance of recognitions like the Bram Stoker Awards? I’m not sure I’ll make WHC this year [note: I ultimately did, and was able to spend some time holding the ashes of the great Richard Laymon], but I plan to attend StokerCon. I look forward to hanging out with those I’ve connected with over the years. I’m planning a signing event for The Library of the Dead, as well as the launching the next anthology, Chiral Mad 3. About half of the contributors in those anthologies will be attending StokerCon. Should be fun. What scares you most? Why? How (if at all) does that figure into your work or the projects you’re attracted to? Memory loss scares me more than anything. Alzheimer’s. Much of my work (both my own fiction/poetry, and those I publish) is considered psychological horror. Losing one’s mind, one’s thoughts, one’s memories of who and what made them what they are … that is the most terrifying thing I can think of happening to a person, and I constantly wonder if it will happen to me. I guess that’s why I put a lot of myself in my writing. Every story I publish, whether mine or another’s, holds a different part of me, something that moved me emotionally, something I’ve pondered, a thought, a feeling, an instance. If I someday lose those memories that made me, I hope I’ll at least be able to read about those parts of me, whether I know it’s me or not. What are you reading for pleasure lately? Can you point us to new authors or works we ought to know about?